Annie sits atop street corner mailboxes and performed stories that happened on those corners, while projecting her her words on nearby buildings where those memories took place. 6pm Act One: Dinner and Performance in Jimmy’s 43, 43 E 7th Street. 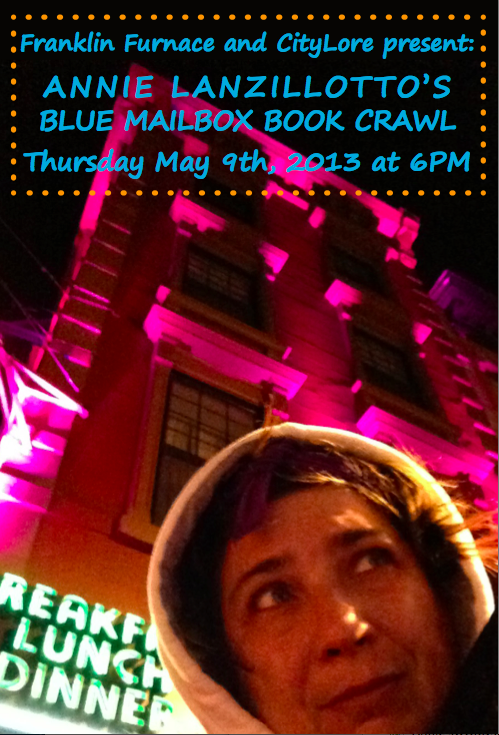 7:30pm Act Two: Meet us in the streets in the East Village on our Lit Walk. 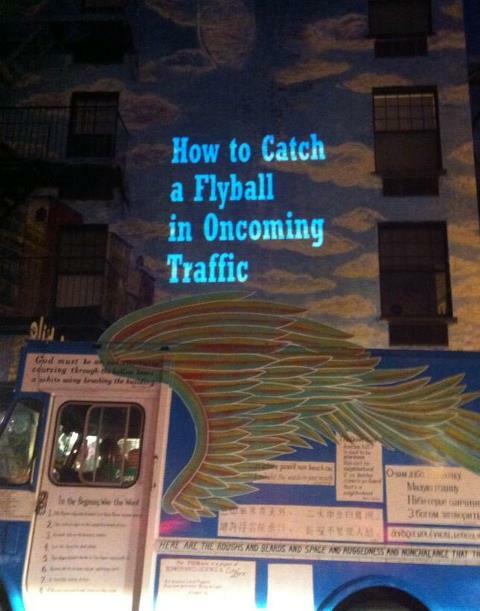 Look for the CityLore POEMobile, and text projected onto buildings at 9th/1st, 7th/A, and 7th/1st. Readings by: Valerie Reyes-Jiminez, Audrey Kindred, LuLu LoLo, Annie Lanzillotto, Marianna McFierce McClellan, Simba Yangala.